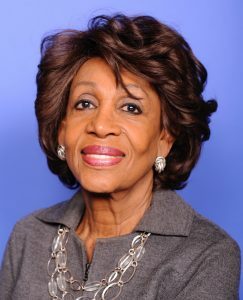 Attention all enthusiasts of financial policy coming from Washington: Maxine Waters, new chairman of the House Financial Services Committee, just gave her first speech outlining her priorities for 2019. Expect lots of hearings and lots of focus on consumer issues, ranging from fair housing policy to diversity in hiring among financial firms. Waters, a Democrat from Los Angeles, will run a very different Financial Services Committee from her (now retired) Republican predecessor, Jeb Hensarling. Corporate compliance, legal, and regulatory affairs officers should prepare for that. Waters won’t be able to push much significant legislation forward, because those bills would probably go nowhere in the Republican Senate — but Waters can hold hearings, and lots of them. That means subpoenas, document request, and witness testimony, all to further the political objectives Waters wants to advance. Corporate America will get pulled into that action in ways your executives haven’t experienced for quite some time. For example, Waters singled out large banks as a specific target of scrutiny. “The committee will be keeping an eye on the big banks and their activities, including by holding many hearings,” she said. Hearings into what? Waters, who spoke for an hour Wednesday at the Center for American Progress, rattled off a list of subjects: housing, credit reporting, diversity, fair lending, fintech. Let’s take a look. Waters mentioned lending practices a lot, with a focus on fair housing policy and funding for more affordable housing. So expect more oversight of the Department of Housing and Urban Development, and all the plans that HUD secretary Ben Carson has to roll back housing regulation. Waters few kind words for Carson (which is fair; he’s a brain surgeon and has no business running HUD), and faulted Carson’s penchant for shutting down investigations. “These are unprecedented attacks on fair housing that we simply cannot stand for,” she said. When a Congress committee chairman starts talking about investigations derailed, that chairman plans to revive the investigations herself. That’s where the ears of compliance and regulatory affairs should perk up. When a Congress committee chairman starts talking about investigations derailed, that chairman plans to revive the investigations herself. Companies that work with HUD contracts should prepare for the possibility that Waters’ committee will now use you as a vehicle to clobber Carson and his mismanagement of that department. Along similar lines, Waters talked about the Consumer Financial Protection Bureau and its former director Mick Mulvaney (now chief of staff to President Trump). Waters said the CFPB is one of the crown jewels of the Dodd-Frank Act, and should hold fast to its primary mission of consumer protection. That’s not at all how Mulvaney saw the CFPB when he ran the agency in 2018. He closed CFPB investigative offices, pared back the budget, and shifted policy priorities to repealing regulations rather than wielding them to protect consumers. So Waters is going to call Mulvaney to the witness chair in 2019. She will want to make him squirm, and she’ll need evidence to do it. Therefore, if your company is subject to CFPB jurisdiction, you may get subpoenas and document requests, because your internal records are the evidence Waters wants to make Mulvaney squirm. That’s coming. To my surprise, Waters talked quite a bit about workforce diversity. She is creating a subcommittee on diversity and inclusion, the first of its kind for any congressional committee, to explore hiring and promotion practices at financial firms, Silicon Valley, and beyond. Waters’ logic is somewhat convoluted, but it holds: if women and minorities are excluded from the upper ranks of corporate life, then corporate decisions about lending, banking, investing, and other consumer services might veer away from the needs of the women and minorities who comprise an increasingly large share of middle-class America. That logic is true, regardless of whether the cause of that exclusion is deliberate discrimination or tone-deaf compensation and promotion policies. 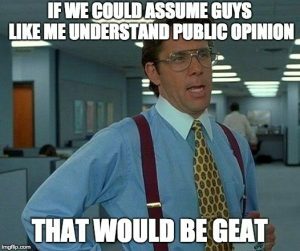 So large companies already calculating pay gaps, promotion gaps, and workforce diversity ratios should prepare for the possibility that Waters’ new subcommittee will call them to the witness table. The last time regulators talked a lot about workforce diversity was in 2017, when the Trump Administration shelved a pending Obama-era rule that would have expanded the disclosures companies make on Form EEO-1 about their hiring practices. Since then, activist groups have needled large corporations about the issue anyway. Silicon Valley giants such as Google, for example, have been publishing the same sort of diversity statistics voluntarily for several years, to fend off public criticism. Can Waters push through legislation requiring more diversity disclosure? Not a chance. But she can hold hearings, and clearly that’s the plan. Sanctions, and especially sanctions against Russia. “The Administration’s approach to Russia sanctions has been haphazard and weak, as well as inconsistent” compared to sanctions against other nations, Waters said. She mentioned Oleg Deripaska by name, tying him to Paul Manafort and special counsel Robert Mueller’s investigation all in the same breath. .
Fintech. Waters didn’t discourage finech, but did say she wants regulatory agencies to pay proper attention to rapid fintech growth: “responsible innovation, with the appropriate safeguards in place” to ensure no consumer groups are excluded from the benefits that fintech might bring. The lead agency for fintech right now is the Office of Comptroller of the Currency, which is ready to grant federal charters to fintechs that ask for one. I’ll be curious to see how the next OCC appearance before Waters’ committee unfolds. Credit reporting. Waters was unsparing with her criticism here: the industry“needs a comprehensive overhaul.” That’s one area where you can imagine bipartisan legislative effort to rein in credit bureaus, since the Equifax data breach of 2017 left the bureaus with zero friends in Congress. Capital formation rules. Ha, fooled you — this was one subject Waters did not address in her speech. Nothing about more IPOs, nothing about Sarbanes-Oxley compliance and Section 404(b) audits of internal controls. SOX was a pillar of complaint from Hensarling, her Republican predecessor. He tried to force a rollback of SOX compliance burdens for years, and never succeeded. Which means that if anyone in Washington picks up the cause of rolling back SOX compliance and governance rules, the Securities and Exchange Commission will be the one to do it — whenever the SEC is open for business again. Lord knows when that might happen.